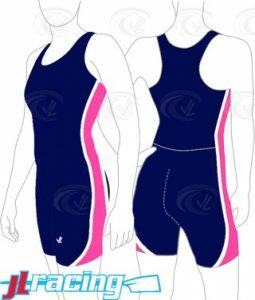 2019 Spring Uniform – New Uni’s for All Rowers! Similar to the last Season all orders will take place online directly with Sew Sporty at the Mercy Crew team store. Here is the link to the Team Store https://row.sewsporty.com/collections/mercy-crew. Official Uniform Apparel tab on the left side of the screen is where the uniform items are located. New Uni is displayed on the right. For a “Uni”, measure your rower using the sizing guide and measuring guide. There is a new uni design this season (Spring 2018) and it is to be worn by all rowers – Novice and Varsity. For Spring 2018 we are getting a large quantity discount on the unis the price is $55 per uni if you order by the deadline. A pink Headsweats visor has been added to the store. Rowers should have either the pink hat or the pink visor as part of their uniform. You can contact Gina Mastrosimone at fanwear@mercycrew.org with any questions. All Rowers – Spring Similar to Fall Season all orders will take place online directly with Sew Sporty at the Mercy Crew team store. Here is the link to the Team Storehttps://row.sewsporty.com/collections/mercy-crew. Official Uniform Apparel tab on the left side of the screen is where the uniform items are located. Uniforms details are listed below. For a “Uni”, measure your rower using the sizing guide and measuring guide. There is a new uni design as of Spring season (Spring 2018) and it is to be worn by all rowers – Novice and Varsity. For Spring 2018 we are getting a large quantity discount on the unis the price is $55 per uni if you order by the deadline. You can contact Beth Patterson at mailto:fanwear@mercycrew.orgwith any questions.